This entry was posted in Angell Pet, Ferrets, Health, mammals, Pet care, Pet Shop Gloucester Blog Roll, pet supplies, Top Tips, Uncategorized and tagged ferret, ferret care, ferret kits, ferrets, hob, jill, pet shop gloucester by rangell. Bookmark the permalink. I’m in lnterestrd in a ferret, I’ve been looking to see how much they are but can’t seem to find the prices would you be able to tell Mr please and if you still have any for sale?? Ferrets are seasonal breeders and breed from the spring through the summer and finishing the season in early autumn. We only sell ferrets bred by ourselves and as we always sell all of our ferrets each year we will not have any for sale until the end of May at the earliest. Prices last year were £30 each. When this years ferrets are ready for sale we will place them on our web store Angell Pets and post on our blog and Facebook page. Please note that all our animals are only available from our store in Gloucester. Ferrets are seasonal breeders and we sold the ferrets for 2018 a while ago. We might have some more in around May/June 2019. 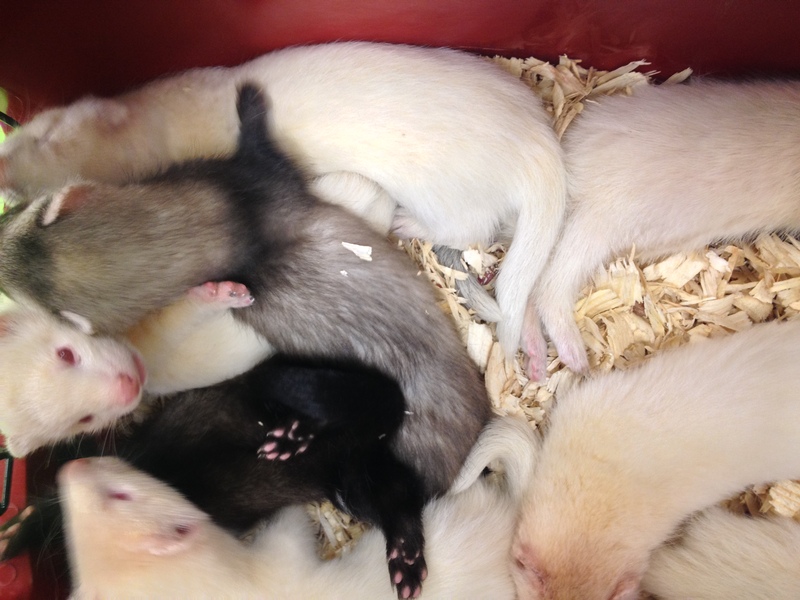 Ferrets are seasonal breeders and we sold 2018’s litters a while ago now. We won’t have any more until May/June this year. I cannot give a price as it depends at the time we get them in. Its best to check our facebook page (Angell Pets Gloucester) as it will be posted on there when we get them in or give us a call closer to the time. Hi I’m looking to buy a ferret and I was wondering if you guys ship them? No we do not ship any animals at all.